Nowadays Aadhaar Card is necessary everywhere be it the passport, pan applications or any other private or government services. The 12 digits Aadhaar Card number is the identity of every Indian. 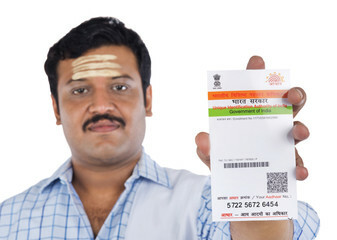 Around 90% of Indians possess Aadhaar Card, Nowadays it is necessary to have Aadhaar Cards in every services or plan. In this scenario, if you are thinking that without Aadhaar Cards you can survive then you are thinking wrong. If there are any mistakes in your Aadhaar Card than get it cleared as soon as possible. From 1st of July, it will be necessary to link your Pan Card with Aadhaar Card if your Pan Card is not linked to Aadhaar Card then it will not be valid from December 2017. To file the income tax also Aadhaar is necessary, so if your Pan is not linked with Adhaar it can create many problems, Transaction of more than 50,000 Rupees will not be possible from any bank if your Aadhaar is not linked. So get your Aadhaar and Pan linked as soon as possible. You can go to the website https://incometaxindiaefiling.gov.in/ and get your Aadhaar and Pan linked. You can also send an SMS to 567678 or 56161 to link your Aadhaar Cards. If your Bank Account is not linked to your Aadhaar Card than get it linked as soon as possible as it can create many problems, To get your Aadhaar Card linked with your Bank Accounts you can directly go to the bank and there you can get to know about the full procedure on how to get your Aadhaar linked with Bank Accounts or you can visit Bank's official website also for the same, In 2-3 days your Aadhaar Card will get linked to Bank Account. Now it is mandatory to link your SIM Cards also with your Aadhaar Cards, From December 2017 your SIM Card will be stopped if it is not linked with your Aadhaar Cards, For getting linked your SIM Card with Aadhaar Cards you can go to any nearby retailer or office.